The horse herd is in good shape, and with the weather now excellent, we’ve brought in some horse people to work with our youth and horse programs. This will expand over the summer and will expand in breadth to the working horse program as well. We have supported a number of cultural and spiritual teachings with horses and will expand this. We received support from the Windrose Foundation towards horse culture work in our region. We are finally getting our horse programs underway, focused on horse therapy and youth, as well as Indigenous Horse Cultural teachings. Jessica White Plume came out from Mandan Territory and did a horse workshop with us in the spring, at the Straight River Stable. The workshop was really youth oriented, and included cultural teachings, obstacle courses, and horse care. The workshop included l0 children over two days from the Pine Point community. We now have our training round pens installed at the farm. 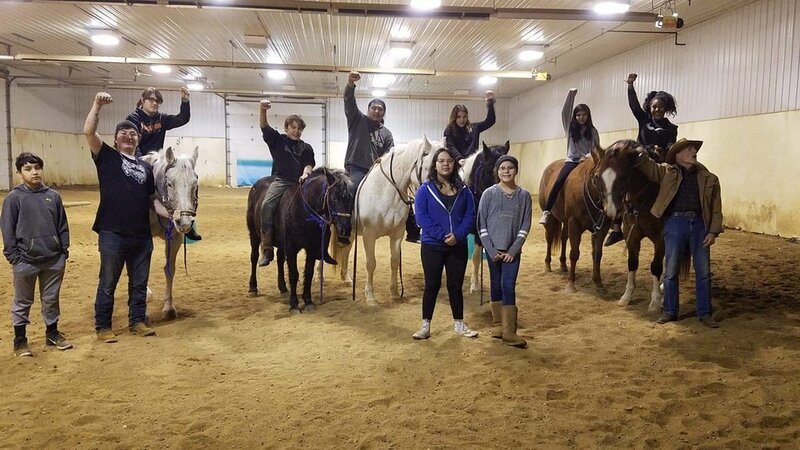 This is exciting for our Youth Horse Cultural Trainings - Teaching relationships and connections with the horses.